I had yet to sleep a weekend evening in my own bed the entire month… so eager to keep the streak alive we packed up the trailer and headed south to Summer Lake Hot Springs. The destination is a favorite of the family, but my littlest girl Teagan is turning four tomorrow, and it was her choice to visit the Oregon Outback, and the rest of the family was more than happy to go along. On the drive over, the birthday girl was delighted to follow rainbows almost the entire way. As the sun was setting over Winter Rim, the early fall storm over Summer Lake lit up into a beautiful light show that turned Teagan’s face into a perma-grin. The trip in my book was already a success. The main hot spring is piped into a barn that was built in the 1920’s ( I believe that is right ), and it is a great way to ease into the weekend, and spend time with the ones you love the most. So after an evening soak, and the requisite animated movie, we all headed to bed under a blanket of stars in the desert sky. Being an early riser, I snuck away from the slumbering family to go to another part of the Oregon Outback that is dear to me – The Chewaucan River. The Chewaucan ( or chewy as I like to call it ) was the first place I fished with a fly rod away from my home waters. That first trip was pretty comical, looking back on it, and of course the only thing caught on that first outing was a bruised ego. So early Saturday morning I made my way past the town of Paisley, and up to the very same spot where I had gotten skunked years ago. Boy and his dogs… with a beautiful stream all to themselves. The river was the lowest I had ever seen it, but I figured some of the standard spots would be holding some fish, and before long the Euro-Nymph rod was bending in delight. One of the bigger fish for the weekend. Working the small deeper pockets for a few hours was such a joy. Focusing on the short casts, and watching for the subtle movements at the end of my furled leader was hypnotic. Sampson by my side, cast, cast, leader pauses… lift tip… splashes… zen. Repeat. Glampin In Style with my Girls. With a happy heart I headed back to camp to hang out with my lovely girls. S’mores were munched, Rainier was drank, and an evening soak followed by erie light on the desert made for an amazing day. 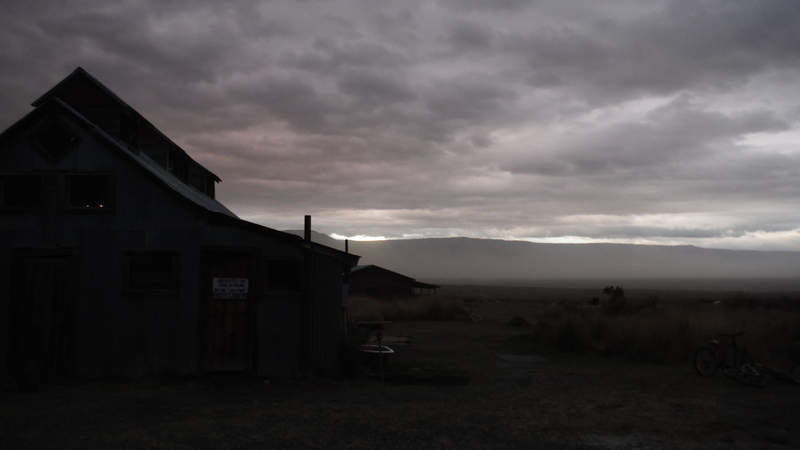 The erie haze turned into a desert storm, and I dozed off to the sound of rain on the side of the trailer. Life is good. Again I awoke the next day and headed back to the zen on the Chewaucan. Sampson seemed to have found his too… as he sat above the pocket I fished, watching me cast, and only moving to come inspect the little fish I was catching in the seam. This is why I fish. 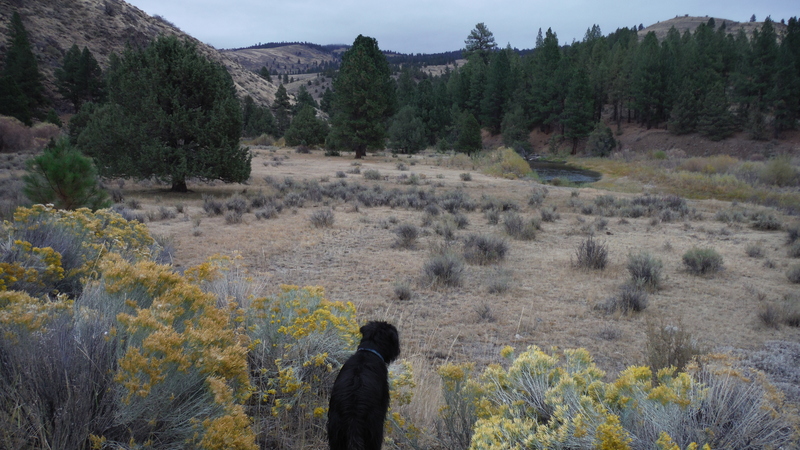 Don’t get me wrong, having a fight with a strong steelhead and hearing my reel scream is quite a rush… but the moments where I’m on a river, all alone, just with my dog by my side, surrounded by the fall colors… that is zen. Sounds like it all came together nicely, family and fishing! Can’t ask for anything more. Thanks Neil! Are the steelhead still running on the Rogue? I’m hoping to get up to Mecca sometime this week. Oh yeah. The summer steelhead will be running well now through January. Through October it will be really good. Water gets cold after that and sometimes catching gets slow, but there will be lots of fish around to seek. Coho start coming in in November on through January. They can be caught with a fly. The one that works pretty good on Coho is the Carpetbagger. I’ll be looking to score some limits. 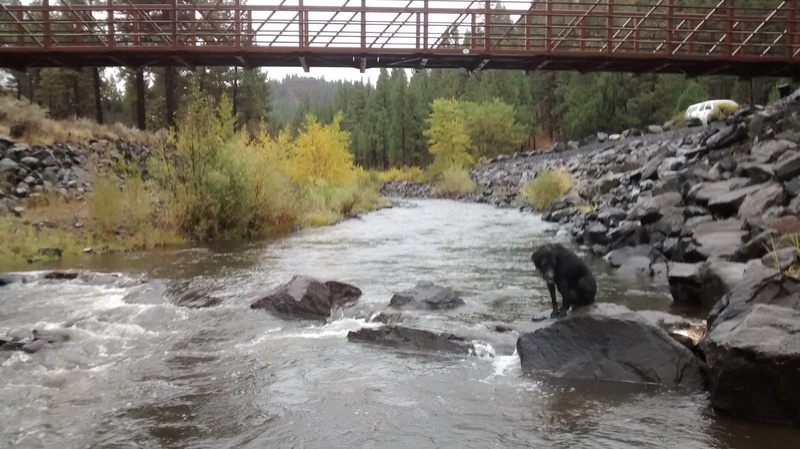 Good luck on the Deschutes.